“CPI inflation was unchanged in March with rising prices for fuel and clothing, offset by downward pressure from across a range of goods including food and motor vehicles. “It remains probable that UK inflation will drift moderately higher in the coming months, with firms reporting that the pressure to raise prices remains significant. 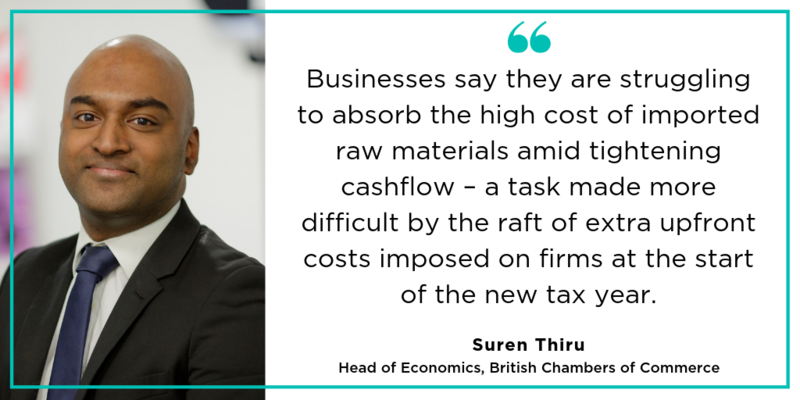 Businesses say they are struggling to absorb the high cost of imported raw materials amid tightening cashflow – a task made more difficult by the raft of extra upfront costs imposed on firms at the start of the new tax year. Higher energy bills are also likely to add to the upward pressure on consumer prices.